!! 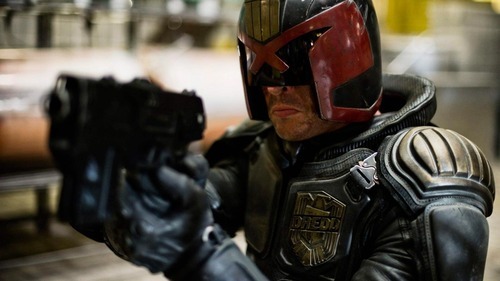 OMG, “Say No To Slo-Mo!”: DREDD 3D to return for a sequel? !! I thought for how “little” they spent on on DREDD to pass it as a big budget feature, that it did a great job. The 3D was pretty good — BUT what I really wanna know is will Ma-Ma return? DREDD just wouldn’t be the same without Ma-Ma! I’m thinking for the sequel they could get to the bottom of why Ma-Ma is so LOCO in the first place. 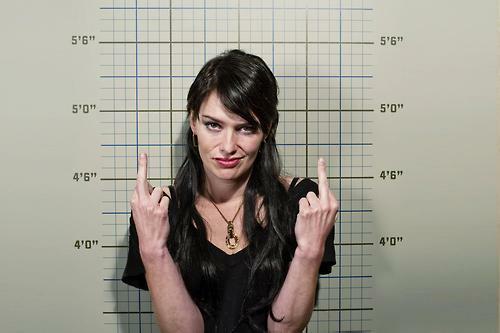 What made her so BAD??? Was it the yoga class she missed? The orange slices she forgot in the mini-van for her kids’ soccer practice? The pink thistle they left out of her kale smoothie? Really, it could have been anything that unhinged her, and gave her that practical, get-up-n-go, hot mom flip-bob haircut! Be the first to comment on "OMG, “Say No To Slo-Mo!”: DREDD 3D to return for a sequel?"